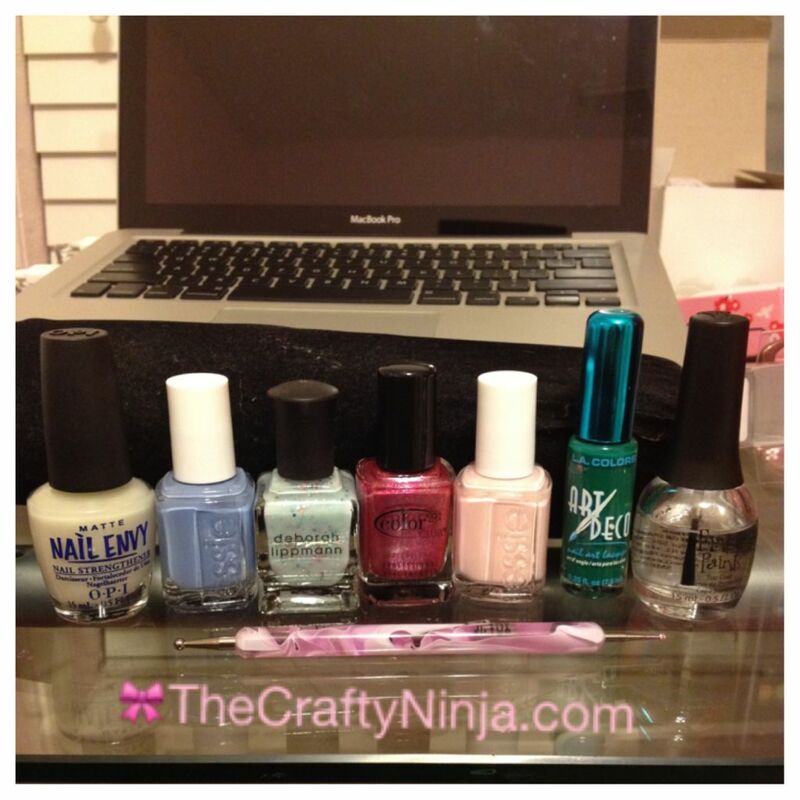 I was experimenting with some of my new Essie colors I just purchased and loved the spring tone colors. It’s been raining non-stop and I wanted my nails to brighten my day. 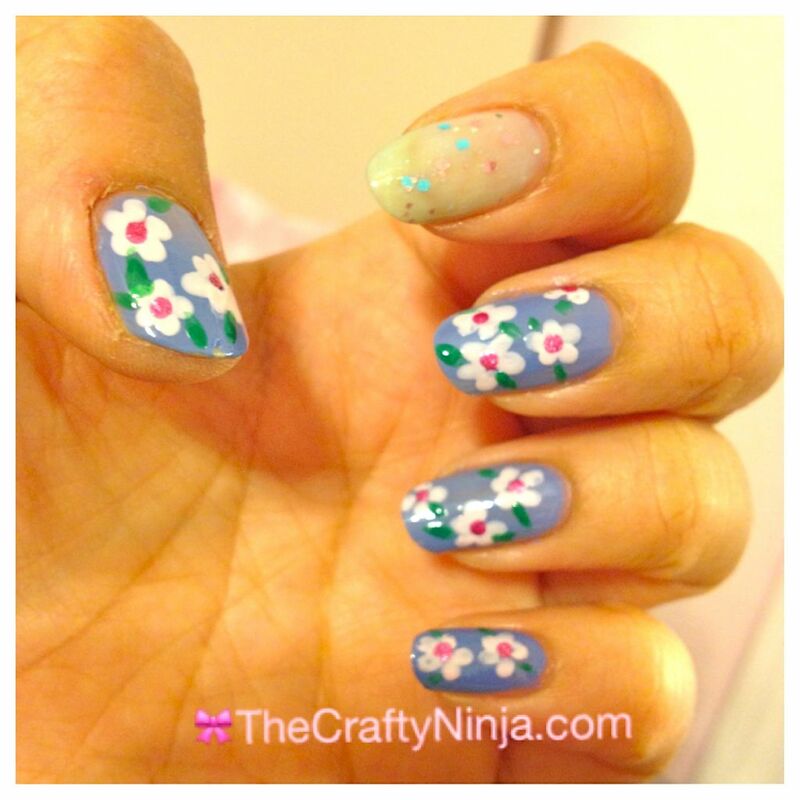 Here is my vintage flower inspired nail art and instructions on how to create the flower here. I first applied a base coat of Opi Matte Nail Envy to protect my nails. Then Essie Lapis of Luxury also as a base coat. I used the Nail Dot Tool to create the flower center dots in Color Club Simmering Pink, and in Essie Fiji to create the flower petals using five dots around the center dots. I went over the center dots again because some of the petals covered them up. Then I used the Art Deco in Green to create the petals using little lines. On my pointer finger I used Deborah Lipman Glitter in the Air. To top it off I used Finger Paints Top Coat. I love the look I created with my nail dot tool, it was pretty simple but you will need a little patience.